PNC provides deposit, lending, cash management and investment services to more than 6 million consumer and small business customers across 19 state and the District of Columbia. Customers can bank whenever and wherever they want via more than 2,600 branches, online and mobile services along with 9,000 ATM machines, many of which can be used to make deposits and cash checks. PNC delivers a broad range of tailored investments, wealth planning, trust & estate administration, and private banking services to affluent individuals and families, including ultra=affluent, with Wealth Insight (SM) providing a real time view of assets and portfolio performance. PNC Institutional Asset Management serves as investment manager and trustee for companies, not-for-profit organizations and retirement plans across the country. PNC Capital Advisors, LLC, a multi-strategy investment management organization, focuses on style purity and risk management to support clients' long-term investment objectives. In total, as of September 30, 2016,PNC had approximately $138 billion in assets under management and $261 billion of assets under administration, serving their clients from nearly 90 offices in 17 states and the District of Columbia. Wealth InsightSM provides a real-time view of assets and portfolio performance. PNC competes to win in the middle market, where they are proud to be one of the leading credit providers to middle market companies across the country. PNC is in the top five syndicators of middle market loan transactions for each of the last five years. But credit is only part of the story. Underpinning their success at building deep and lasting relationships with middle market clients is their breadth of capabilities--including extensive treasury management, capital markets and international banking services--many of which have been tailored specifically for the middle market audience. And through PNC's investment bank, Harris Williams, they offer one of the nation's largest and most successful M&A advisory teams focused exclusively on the middle market. 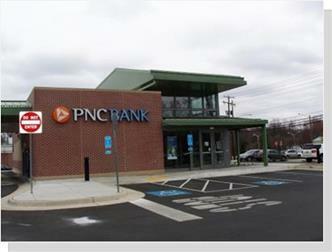 PNC is an industry leader in many other target markets as well. Their client list includes more than two-thirds of the Fortune® 500 as well as thousands of real estate, utilities, healthcare, government, higher education and not-for-profit entities. Photographs & images, on this page, and on this website, are not available for use by other publications, blogs, individuals, websites, or social media sites. (Copyright © 2011 Annandale Chamber of Commerce. All rights reserved.) This article first appeared in October 2016 ENDEAVOR News Magazine, and may not be reproduced without the written permission of the author.